&starf; 21 November - Faucet services has been closed. &starf; 13 January - SafeTradeCoin listed on CryptoGods with a Block Explorer. &starf; 7 January - SativaCoin listed on CryptoGods with 2 full nodes. &starf; 5 November - BeatsCoin listed on CryptoGods with a Block Explorer. &starf; 31 August - AgrolifeCoin listed on CryptoGods with 3 full nodes. &starf; 28 August - DimeCoin listed on CryptoGods with 3 full nodes. &starf; 6 July - CryptoJacks listed on CryptoGods with 3 full nodes. &starf; 1 July - Hosting page rebranded, XEN VPS added, custom Dedicated Servers aviable! &starf; 29 June - Instant chart loading with chart embedding relased. &starf; 5 June - CoexistCoin listed on CryptoGods with a Block Explorer and a free node. &starf; 1 June - GoldBlocks listed on CryptoGods with 4 full nodes and Block Explorer. &starf; 26 May - Dynamic price widget relased for free! &starf; 15 May - CryptoGods Officially Launched! &starf; 10 May - Menu icons fixed. &starf; 06 May - Faucet system created and published. &starf; 05 May - Started the marketcaps development. &starf; 05 May - SakuraCoin listed on CryptoGods with 3 full nodes. &starf; 03 May - GSMCoin listed on CryptoGods with 3 full nodes and Block Explorer. &starf; 29 April - RevenueCoin listed on CryptoGods with 3 full nodes. &starf; 28 April - Chart time bug fixed. Stats are updated every 30 mins. 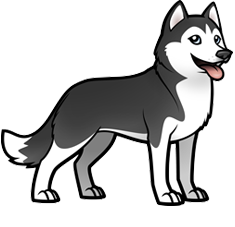 &starf; 28 April - Hello Husky! &starf; 24 April - DigiCube listed on CryptoGods with 3 full nodes. &starf; 22 April - CryptoGods Alpha version relased for testing. &starf; 20 April - EDRCoin listed on Cryptogods with 3 full nodes and Block Explorer. &starf; 18 April - PHP virtualized with Hip Hop system (developed by Facebook) (website 32% faster). &starf; 14 April - Added prices charts on Explorer system, transferred data on MariaDB (website 440% faster). &starf; 11 April - Parternship started with Cryptolife. &starf; 11 April - Added Top 100 Adresses research. &starf; 09 April - Search for hash/txid integrated on our Block Explorers system. &starf; 08 April - Starting the BETA testers seeking thread. &starf; 07 April - CryptoGods system transferred on four dedicated servers. &starf; 07 April - Node pages relased. &starf; 04 April - DubaiCoin DBIC listed on CryptoGods with 3 full nodes, Block Explorer and official mining pool. &starf; 03 April - Partnership started with CryptoDesign. &starf; 02 April - Started the Block Explorer system development. &starf; 01 April - Partnership started with WPSHosting. &starf; 01 April - Partnership started with C-CEX Exchange. &starf; 31 March - Starting CryptoGods.net development. CryptoGods Team is built with high trusted dev's from around the world, we build trust, not scams! ☇Where are our server located to host pool and nodes? CryptoGods servers are all over Europe and US. We can deliver a node, a pool or hosting services directly near your country! Completly running on open source system we provide you the most secure and speed connection with Debian servers. All our services are based on Nginx & MariaDB, the only way to allow you an huge amount of connected peers, without losing speed! ☇Professional work, at lower prices? ☇What kind of payments are accepted? We only accept Bitcoin or PayPal! ☇What happens if Pinocchio says, "my nose will grow now"? Certain questions are better left unanswered.